Warrington Swimming and Water Polo Club is looking for sponsors to help to provide a high standard of coaching to the local community while keeping fees at an affordable level. During each season we need to raise funds for training equipment, club kit, match balls and coaching courses. Warrington Swimming and Water Polo Club(WSWPC), based at Orford, has been established for over a hundred and thirty-five years. The club currently has around 200 swimmers and water polo players. Training sessions take place every day apart from Wednesday. Recent successes at the Olympic and Commonwealth games have raised the profile of swimming and Water Polo in this country and shown youngsters the rewards that can come from committing to a demanding sport. The club offers swim teaching for beginners and coaching to swimmers 5 years upwards, and for water polo players from 9 years upwards. The club has enjoyed tremendous success over the past ten years. In fact, one of our club members played for the Women’s Water polo team at the Olympics London 2012. 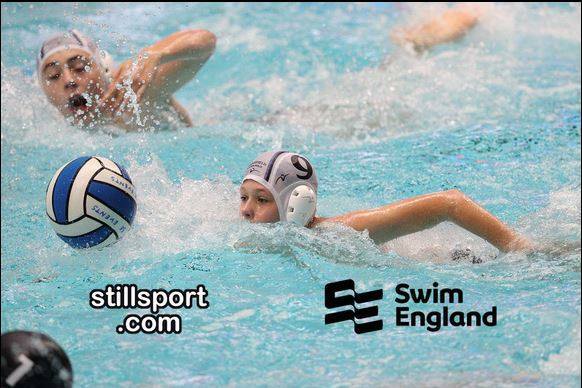 In 2017 we had two water polo players competing for GB in the world student games, and had many playing for the regional team, and clubs in the National league. Locally we have won all games in the 16u age group, winning five trophies this season. Club kit – swim caps, hoodies, club shirts worn by swimmers, coaching staff and volunteers at all club meets and external competitions. Sponsorship packages can be tailored to suit the budget of the business or individual but the standard packages shown below give a starting point. Package A - £100 p.a. Package B - £150 p.a. Package C - £250 p.a.